Grand Montrond - for everyone who loves wind ;) - Life is a lucky bag! 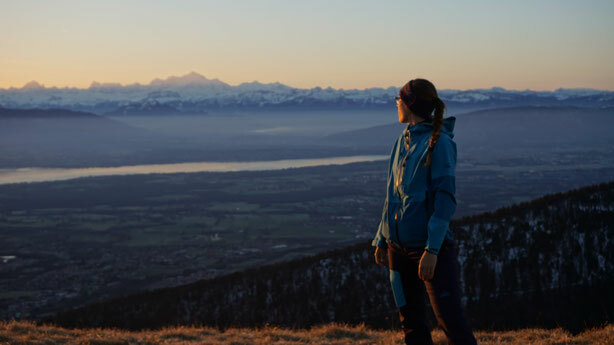 When I moved to Geneva in 2016, I started to hike a lot more. Up to today, there are a few hikes, which I already did a couple of times, because they are close by and easy. 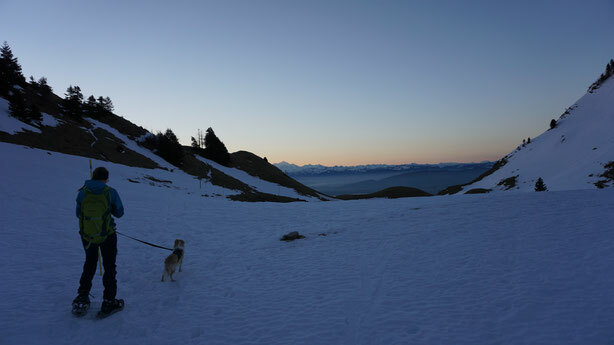 Additionally, you can do them within half a day - so even if I work in the morning, I sometimes manage to go for a hike. One of them is the Petit Montrond, another one Le Turet. If you want to hike a tiny little bit longer you could try the Grand Montrond - a short and family-firendly hike for every season. Besides snowshoes, I would recommend to bring the typical things for a winter hike: headband/beanie, warm gloves, hiking sticks, warm clothes, first-aid-kit etc. Since at the end of the trail you will find a little restaurant, you don't necessary need your own picnic, but of course feel free to bring for example a bottle of hot tea to warm up or some snacks (like for example cereal bars). de la Faucille close to the french village Gex. There is a big parking lot, as there's a small ski resort here. Follow the big forest street on the right side of the parking until you reach La Gelinotte. There will be a lot of signs guiding you u to the little mountain Grand Montrond, which is todays summit. 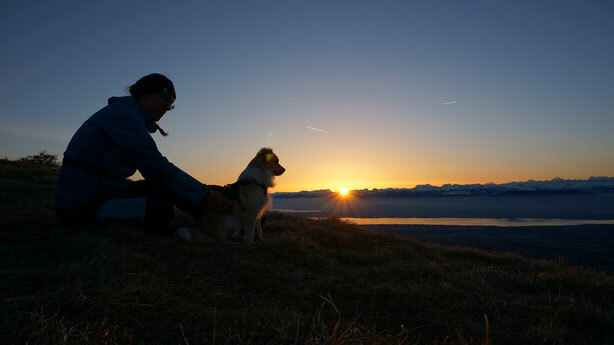 I did this hike as a beautiful sunrise hike once - if you reach the summit at sunrise, the view is amazing: See how the sun wakes up above the alps! This is just awesome! The summit itself can be very windy, so if you are planning on a breakfast here, I'd recommend to take your breakfast a bit below the top.because this mountain is usually very very windy! The trail goes back on more or less the same route and if you need a second breakfast, you can stop by at the little restaurant on Col de la Faucille!